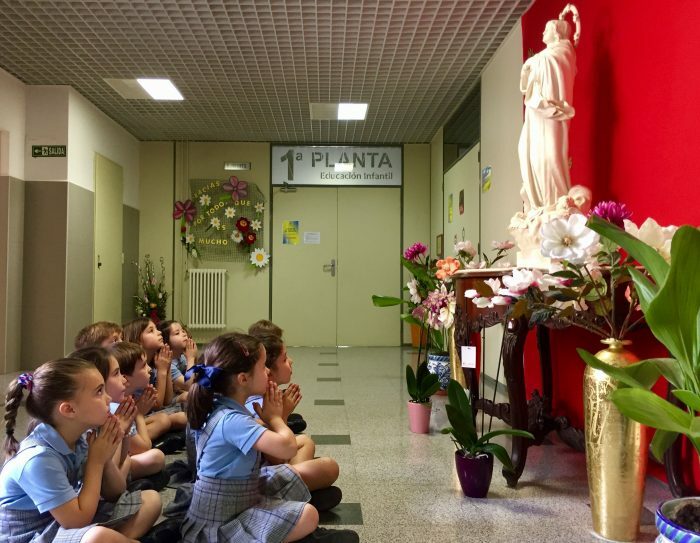 Virgen de Gracia School has its origin in 1948, in the “High School” located in the Minor Seminary of San Cecilio. At the beginning, the school was oriented toward seminarians and altar servers, but over the years, the High School evolved into the educational and social field, always maintaining the catholic character. 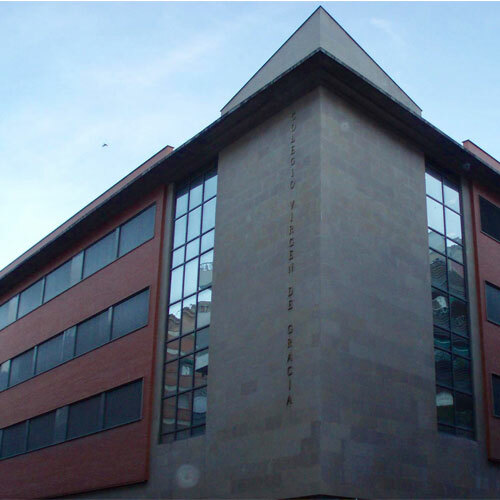 Our school is located in the center of Granada, next to the Calle Pedro Antonio de Alarcón. From 24 May 2001is configured as a school which offers education for pupils at any level, infant, primary or secondary. It was officially opened and blessed by the Archbishop of Granada Mr. Cañizares the 13th of December of 2001. At Virgen de Gracia School, we firmly believe that learning by doing and experiencing is the best way for our students tolearn. We educate in the full sense of gratuitousness, donation and selfless service. We believe in an education based on the Christian religion able to grant moral principles, values and virtues that will build the basis for the complete development of our students as people. At our Center we carry out all types of activities. Not only we confine ourselves to a purely academic education, we also create experiences and promote the culture of effort, sacrifice and constancy, contributing to the students’ attitudes and skills so that they can perform a greater service to humanity. We help people in the future. When we talk about vision, we speak of the future. Ours is linked to all of our students. We are committed to providing quality services, since that was the only way we will be a reference for the formation, facing the academic and social problems. We will only achieve the maximum quality with pedagogical efficiency, innovation, research and creativity. We will be a schoolguided by the Magisterium of the Church, accepting the rules of the Spanish Episcopal Conference, and recognizing the responsibility of discernment to the Archbishop of Granada, endorsing the priorities and projects of the Archdiocese, and promoting the love for the Church and loyalty to its Pastors. We will be attentive to the changes which occur quickly and deeply in our society, to adapt our methodology the most agile and organized as possible, even going to anticipate these changes. We will work as a team with our teachers of recognized prestige to achieve the goals that we propose. We are committed to be a leading center of innovation, research and creativity. The past, present and future of our school focuses on an education based on moral and ethical values. FREEDOM: the ability to be self-determined in accordance with the human values found by the reason and enlightened by faith. EFFORT AND RESPONSIBILITY: the result of the freedom itself. JUSTICE, SOLIDARITY AND LOVE: justice and solidarity are a requirement of the dignity, equality, and fraternity. FAITH in God the Father, in whom we trust and to whom we constantly make reference. TRANSCENDENCE, which gives sense of hope to life and education. TRUTH that is conformity of thought with the reality.